This is the tenth Testing Tuesday episode. Every week we will share our insights and opinions on the software testing space. Drop by every Tuesday to learn more! Last week we talked about using stubbing and mocking to specify your examples behavior-driven with RSpec. It’s great to be able to stub existing code to become independent from other components’ behavior. But it’s even better that you can stub code that doesn’t exist before you implement it. Stubbing code that isn’t even there yet is a great way of designing your application. Instead of taking the code that already exists, you think of the code you wish you had. Stubs let you specify what you wish your code looked like by simulating methods the way they should behave. Step by step you implement the stubbed methods afterwards, guided by your integration tests that point out what to implement next. This approach leads to readable, maintainable and reusable code. In this screencast we walk you step by step through this design process. In the last two Testing Tuesday episode we made sure that all our stubbed and mocked behavior also works in the “real” world by running our Cucumber scenarios. This can become cumbersome though. A faster approach is to use Bogus, that checks the methods you’re stubbing for you. Learn more next Testing Tuesday! Ahoy and welcome! 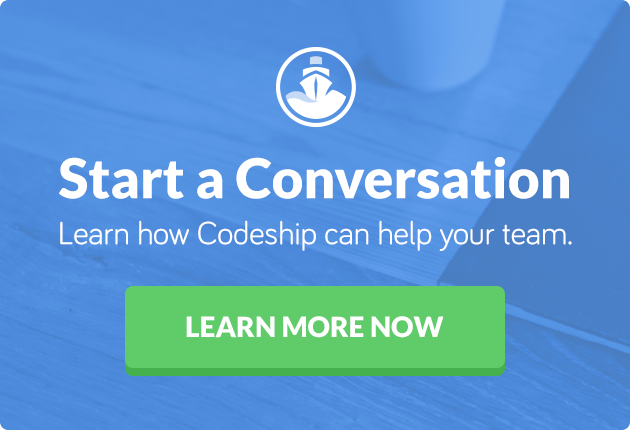 My name is chief mate Clemens Helm and you’re watching Codeship Testing Tuesday #10. Last week we specified single components of our application using stubbing and mocking. We stubbed existing behavior of other components to become independent of their implementation. This week I show you how to stub code that isn’t even there yet. This will improve the way you design your code. We’ll keep working with last weeks application. We’ve got a user with a first name, a last name and a full name. And a user has many projects. And we’ve got projects that have a name. Right now, every visitor of our application can access all projects, but we’d like only team members to access their projects. Given I'm signed up as "NSA"
another_user = User.new name: "Another user"
When we run this feature, it fails, because so far we haven’t got any restrictions what should be accessible or not. Here we use mock_model to simulate a project because it also creates an id for the project that we can pass to the controller action. We also simulate that there is a logged in user by stubbing the current_user method on any instance of the ProjectsController. We use this approach because the instance of the ProjectsController will be automatically created for us. But before we do that let’s clean up our examples first. Like application code you should also refactor your examples to avoid repetition and keep them clean. Consider refactoring your examples everytime you made them pass, but refrain from refactoring when there are still failing examples, this will make everything much worse. Trust me, I’ve been there. Let’s move all our duplication into a before each block. This will be executed before each example. So we’ve got a perfectly readable controller action by specifying code that doesn’t exist yet. I like this method of designing a component’s interface, because usually it’s much easier to specify simple code than complicated code. So when you stick to this pattern, your code will become more readable and more structured automatically. But where do we go from here? Well, we’ve specified everything we need from our controller, so let’s run our scenario again. It fails telling us that there is no method member_of? for User. So our scenarios are the always safe-guards that remind us to implement everything that’s still missing to make our new feature work. If we run our feature now, it succeeds. This action is much less readable than the one before. We deal with an abstract Membership term instead of just asking if a user is member of a project. And we increased complexity by having a long method chain with a database query in our controller action. But what’s even worse: This code is not reusable, whereas our member_of? method can be used many times throughout the application. Of course you could also refactor this controller action and create the member_of? method afterwards. But this would be an additional step and these get forgotten quite often. With our outside-in approach this code just evolved naturally out of our process. However, some of you told me that they don’t like running the integration tests to verify that their stubbed behavior still works, because it slows them down. I tend to run only unit specs and the Cucumber feature I’m currently working on on my local machine. Once I’ve completed a feature I push it to GitHub and the Codeship will pick it up and run the entire feature suite for me. If something broke, it would inform me. So I can keep working while the Codeship checks my current code. I’m a big fan of having integration tests check the entire system’s behavior before I ship something. However, if you just want to verify that your mocked behavior actually works while you’re developing a feature, this feedback cycle can be cumbersome. 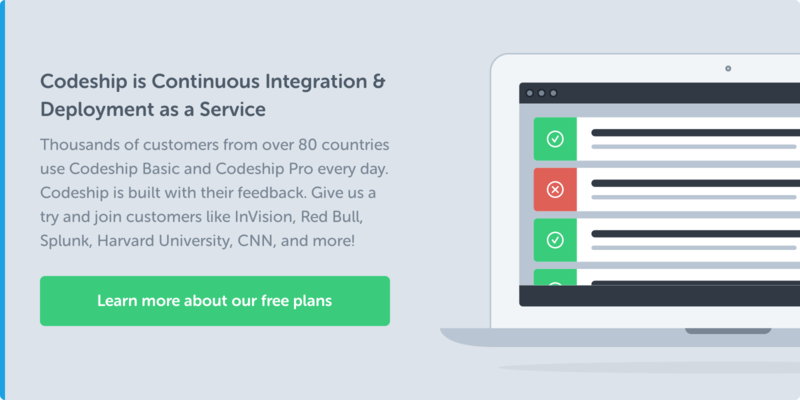 Especially when you’ve got an extensive integration test suite, getting feedback from your continuous integration system can take 20 minutes or more. Fortunately there are tools that verify your mocked behavior faster. But that’s enough for today. Thanks to Rafael and Cezar who suggested “bogus” to solve this problem. We’ll take a look at it next week. See you next Testing Tuesday, and just remember one thing: Always, really always stay shipping!